Beethoven, his formal name, and Beto for short. 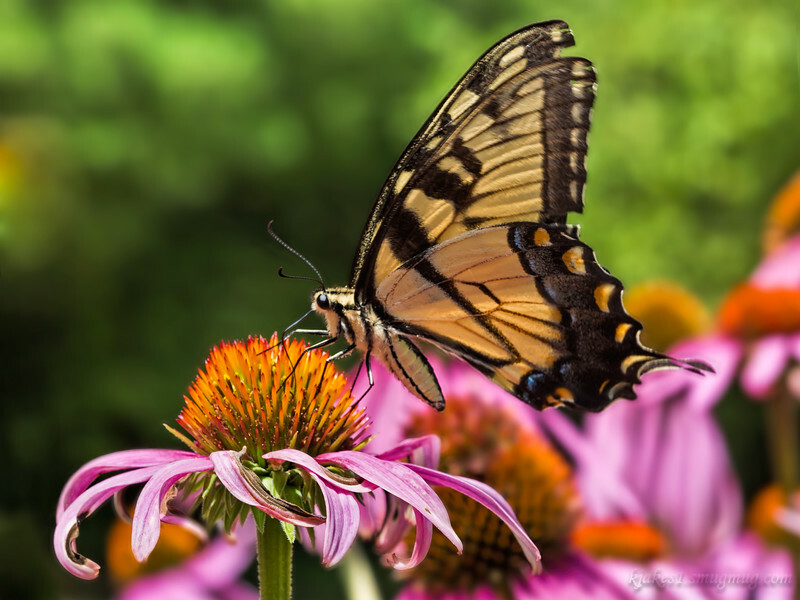 Cone flowers, with their raised rounded centers and drooping petals, make almost perfect perches for insects for photographers, such as yourself, wanting to shoot them. Beautiful swallowtail portrait. Beautiful swallowtail beautifully portrayed. I've just got to get some cone flowers! Whatever I've got, they're not buyin'.